Our dedicated volunteer, Rudy Gallardo has a family of activists. 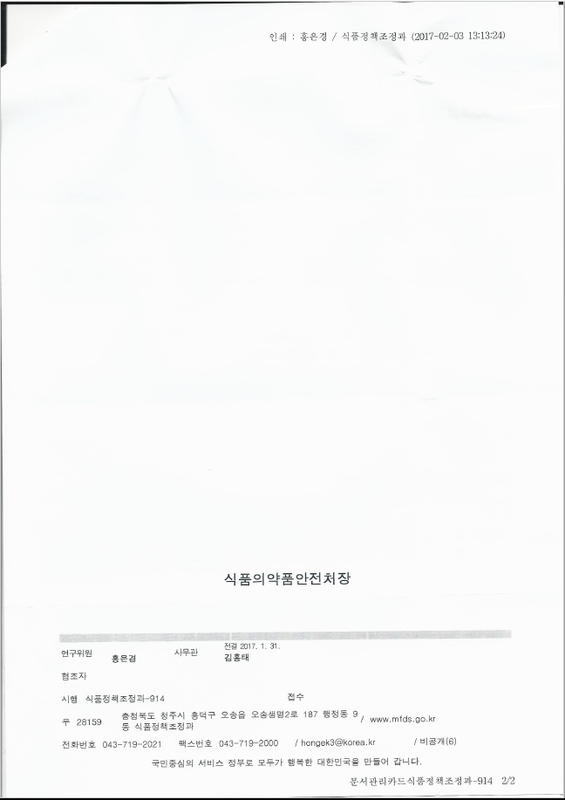 Rudy’s sister, Veronia Ochoa, and her son Miles had received responses (dated January 31, 2017) to their petitions filed with the Korean government against the dog and cat meat cruelty. They shared them with us. 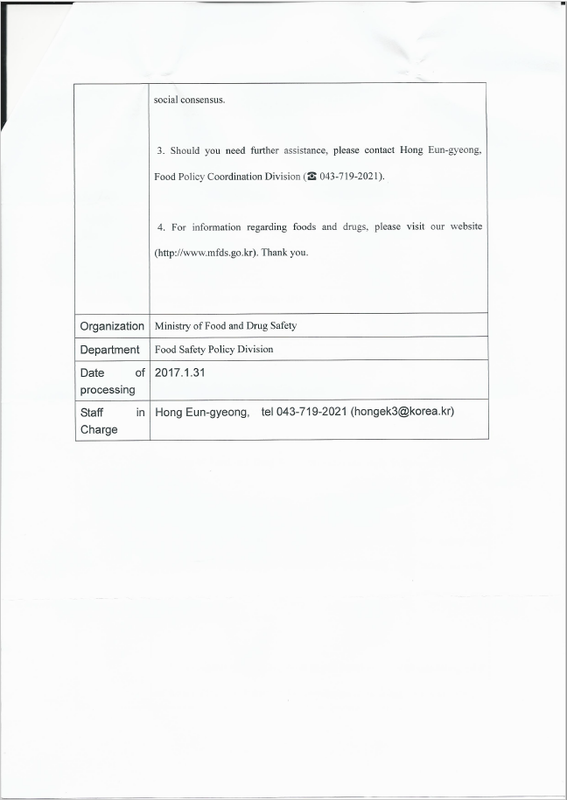 Below are the responses they had received from the Korean Ministry of Food and Drug Safety. 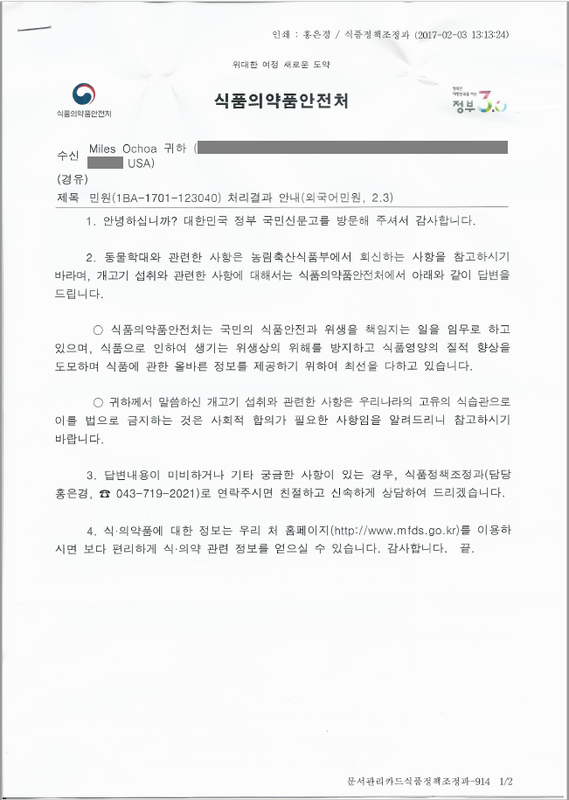 Thank you, Ochoa family, for all your efforts to help end the cruelty to dogs in South Korea! It will take many, many voices speaking out loudly for the Korean government to take the steps to end the dog meat trade. 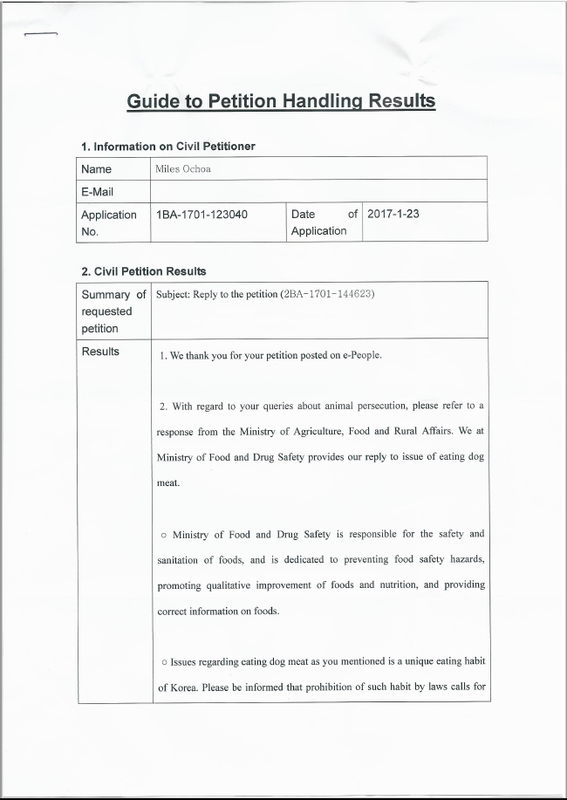 So please, do your part and add your voice today.